While 2012 winds down, there is still time to reduce your tax burden. Here are six ideas that can save money for most of us. Pre-tax Savings. Take advantage of opportunities to set aside income on a pre-tax basis. This includes participation in company sponsored retirement savings programs, Health Savings Accounts (HSA), and "Flex Benefits" accounts that allow using pre-tax earnings to pay for childcare and out-of-pocket medical costs. Remember, however, unlike HSAs it is important to use up any funds in your Flex health care accounts and dependent care accounts prior to the end of the plan year as any unused funds will be forfeited. Defer Income and Accelerate Deductions (or vice versa!). When possible think about whether it is better to reduce taxable income in this year or next year. By understanding which tax year will be more advantageous to you, you can act to defer income into a subsequent tax year and accelerate deductible expenses into the current tax year. On the other hand you may believe tax rates will be higher next year. If this is the case you will want to move as much income into the current year and defer expenses. Make next year's church donations this year. Make Interest Expense Deductible. Move non-deductible interest expenses (personal credit cards) to deductible interest expense (home equity loans). Maximize tax-exempt and tax-deferred Investments. The higher your tax bracket the more tax savings you'll realize with tax exempt and tax deferred contributions such as employer sponsored 401(k)s, IRA's, tax-free municipal bonds, and Section 529 College Savings Plans. Navigate Estate Planning. Manage the value of your estate to minimize estate taxes through gifting, trusts, life insurance, annuities, and other estate planning tools. Avoid Penalties. Avoid costly penalties and interest charges by filing your returns and paying taxes owed on a timely basis, as required by the IRS. Plus a bonus thought. Look for ways to double dip the tax savings. One of the best examples of this is the donation of appreciated stock (held over one year) to a charitable organization. Not only do you get to deduct the appreciated value of the stock, you also avoid paying capital gains tax on the increased value of the shares. 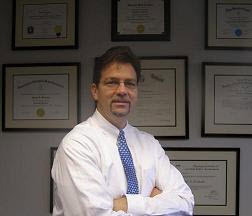 Joseph B. Matheson is a Certified Public Accountant with more than twenty-five years of public and private accounting experience. Mr. Matheson passed the CPA exam with one of the highest scores in the nation, garnering honors at both the state and national level. His knowledge and experience guarantees focus on the needs of businesses and high net worth individuals and providing litigation and forensic support to attorneys and litigants.